Discussion in 'World Cup of Pokémon Perfect' started by tjdaas, Oct 28, 2018. Marcop9923, terpnation, Teclis and 1 other person like this. terpnation, Sadlysius, xray and 6 others like this. gl both teams, all the luck for lighthouse and Thiago nunes. The Notorious B.I.G., terpnation, Chrysalis and 3 others like this. Well, congratulations for making it to the finals already. There was a lot of good teams in this tournament, but only you two had what it took to stand here and be able to claim this trophy. Looking forward the ADV games especially, Lavos has not won both the Classic and the Championship for nothing and hclat's matches are always cool to watch. terpnation, Chrysalis, lm3 and 1 other person like this. terpnation and EB0LA like this. HML am, terpnation, Sas0 and 10 others like this. won vs vai lusa with luck clearly favoring me at decisive points (gyro was 44/56 to kill at the end and the initial sequence :x), gg out of respect. Mr.378, terpnation, Chrysalis and 4 others like this. Finchinator, Mr.378, Chrysalis and 4 others like this. Finchinator, HML am, Mr.378 and 4 others like this. Chrysalis and terpnation like this. Finchinator, Mr.378, hclat and 1 other person like this. big shoutouts to everyone on the team. Dizno, Christos, Chrysalis and 7 others like this. Congratulations to USA East for winning the 2nd edition of WCoPP in such a dominating final performance!!! I'll hand out the trophies as soon as possible. Also well done, Brazil for making the finals! I hope to see all of you back in the next edition! 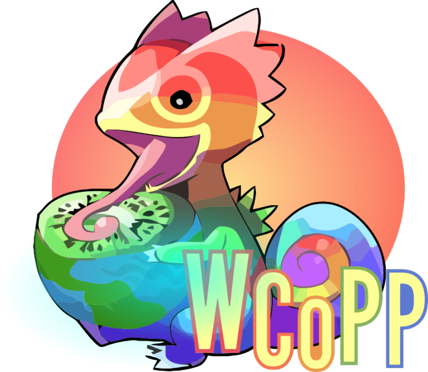 We will also start a discussion thread soonish, so that we can hear what went good and what we can improve for WCoPP 3! Shoutouts Ransei for hosting the tour with me and updating the sheet and Perry for extra support. Also shoutouts to all the managers for being active, proactive and not causing drama, which makes the tour a lot easier to host for us! Lastly shoutouts to the representatives for helping us with the format and rules for this edition! Ransei, The Notorious B.I.G., Finchinator and 2 others like this. Also thank you Eseque for hosting the replay thread! Eseque and HML am like this. tjdaas and Century Express like this. HML am, SaDiSTiCNarwhal and tjdaas like this. Gratz to East! Well done guys, deserved win. I'm happy to see some former teammates from PPL3 winning this ! Congratulations to US East, the most consistent team eventually won the tournament. The Notorious B.I.G., hclat and tjdaas like this. tjdaas, hyogafodex and hclat like this. Century Express, SaDiSTiCNarwhal, tjdaas and 2 others like this. tjdaas, Callous has not received his medal yet. Sadlysius and SaDiSTiCNarwhal like this. Eseque and Dizno like this. Eseque, SamuelBest and GGFan like this. It would be amusing at his "egg"spense and I believe he would be "egg"asperated to see his personalized trophy, but I r"egg"ommend it nonetheless.